Buy 1 for $14.38Buy 2 / Save $0.77!Buy 3 / Save $2.88! The Northeast region of India is the world's largest regional producer of tea. The tea growing regions in the area are the Dooars, Cachars and Assam - Assam being the most important. In total, approximately 20% of the world's annual production (Assam produces nearly 500,000,000 kilos of tea) is produced here. It is noteworthy to point out that the tea production only takes place for 9 1/2 months since the tea bushes are dormant due to cold weather from mid December to end February - sometimes into early March if it is an extraordinarily cold winter. From May through to mid July, the scenery and aroma in this region is unbelievable. The area is a hubbub of activity - tea fields virtually festooned with the tea pluckers in Joseph-like multicolored garments, thousands of tons of green leaf being transported down country roads to the tea factories, a beehive of activity at the factories to process the green leaf at the `"peak" of its quality, markets, children coming home from school - it is truly an incredible scene. Dufflaghur is an estate on the north bank of the Brahmaputra River in the central region of the Assam province called East Boroi. 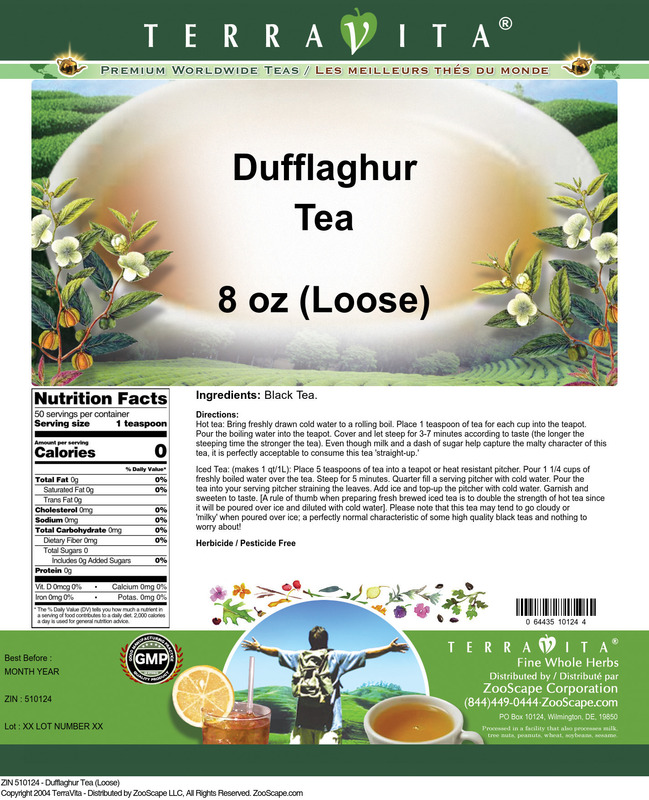 Dufflaghur is a "dual production" estate - meaning it can produce both Orthodox and CTC teas. Generally orthodox teas are produced in the first 4 months of the new season corresponding to top quality and highest prices. This BPS grade is special and comparatively an unusual tea. It is actually a product of the orthodox manufacturing process but represents less than a quarter of one percent of Dufflaghur's annual production - hence its rarity. The young leaves are tightly compressed into little balls during a rolling process during manufacturing thus retaining the inherent qualities of this very good Assam tea very well. 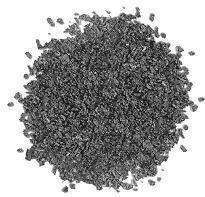 It is interesting to see how this Black Gunpowder (or black pearls) uncurl. 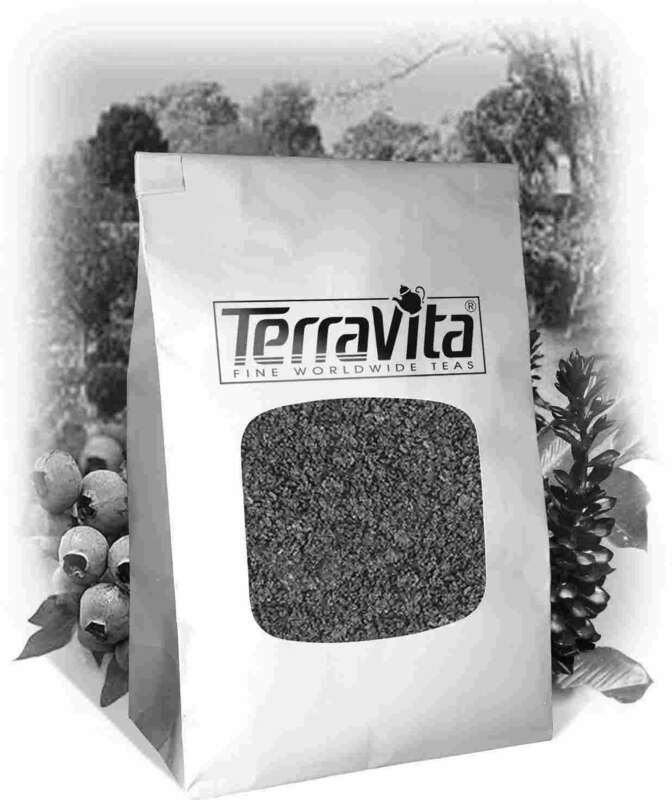 The cup quality of this tea is prized by discriminating consumers who are looking for something different in the way of tea. Hot tea brewing method: Bring freshly drawn cold water to a rolling boil. Place 1 teaspoon of tea for each cup into the teapot. Pour the boiling water into the teapot. Cover and let steep for 3-7 minutes according to taste (the longer the steeping time the stronger the tea). Even though milk and a dash of sugar help capture the malty character of this tea, it is perfectly acceptable to consume this tea "straight-up." Iced tea brewing method: (to make 1 liter/quart): Place 5 teaspoons of tea into a teapot or heat resistant pitcher. Pour 1 1/4 cups of freshly boiled water over the tea. Steep for 5 minutes. Quarter fill a serving pitcher with cold water. Pour the tea into your serving pitcher straining the leaves. Add ice and top-up the pitcher with cold water. Garnish and sweeten to taste. [A rule of thumb when preparing fresh brewed iced tea is to double the strength of hot tea since it will be poured over ice and diluted with cold water]. Please note that this tea may tend to go cloudy or "milky" when poured over ice; a perfectly normal characteristic of some high quality black teas and nothing to worry about!